Dr Switkowski is Chancellor of RMIT University, Chairman of NBN Co and a Director of listed companies Tabcorp Holdings and Healthscope Ltd.
Dr Switkowski is the former Chairman of Suncorp Group, the Australian Nuclear Science and Technology Organisation and of Opera Australia. He has previously held positions as Chief Executive Officer of Telstra Corporation Limited and Optus Communications Ltd and is a former Chairman and Managing Director of Kodak Australasia Pty Ltd. He is a Fellow of both the Australian Academy of Technological Sciences and Engineering, and the Australian Institute of Company Directors. In 2014, Dr Switkowski was made an Officer of the Order of Australia in recognition of service to tertiary education administration, scientific organisations and the telecommunications sector, to business, and to the arts. RMIT is a multi-sector university of technology, design and enterprise with more than 87,000 students and 11,000 staff globally. RMIT offers postgraduate, undergraduate, vocational education and online programs to provide students with a variety of work-relevant pathways. RMIT’s three campuses in Melbourne (City, Brunswick and Bundoora) are located on the unceded lands of the people of the Woi Wurrung and Boon Wurrung language groups of the eastern Kulin Nation. RMIT also has two campuses in Vietnam, a research and industry collaboration centre in Barcelona, Spain and offers programs through partners in Singapore, Hong Kong, mainland China and Indonesia. Collaboration with industry is integral to RMIT’s leadership in education, applied and innovative research, and to the development of highly skilled, globally-focused graduates. In the 2018 QS Rankings by Subject, RMIT was ranked 11th in the world and number one in the Asia Pacific for Art and Design, and 26th in the world in Architecture and the Built Environment. RMIT is also among the world’s top 100 universities in Engineering (Civil and Structural; Electrical and Electronic; and Computer Science and Information Systems); Accounting and Finance; Business and Management Studies; and Communication and Media Studies. The 2018 ShanghaiRanking’s Global Ranking of Academic Subjects highlighted RMIT’s strength in Engineering and Technology in particular. RMIT ranks in the world’s top 400 in the 2018 Academic Ranking of World Universities and in the world’s top 500 in the 2018 Times Higher Education World University Rankings. RMIT was ranked 250th in 2018-2019 QS World University Rankings. The University was also ranked eighth in Australia and 30th in East Asia and the Pacific for employer reputation, and 21st in the Top 50 Universities Under 50 Years Old. 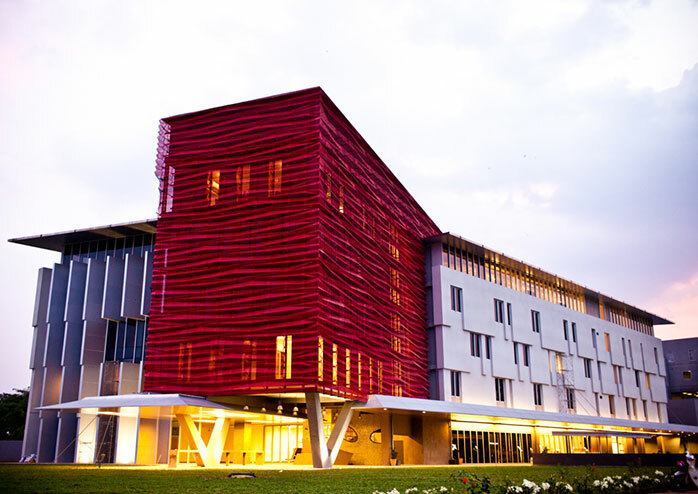 RMIT has two campuses in Vietnam and a research and industry collaboration centre in Barcelona, Spain. The RMIT Women’s Football Academy was launched in 2018, to promote and develop players, coaches and administrators in women’s football. The award-winning New Academic Street has transformed the heart of RMIT’s city campus by creating interconnected learning spaces, outdoor terraces and enhanced library facilities. The RMIT media precinct is flexible, future proof and an environment where emerging communication technologies can be developed and explored. In preparing its students for life and work, RMIT seeks to help shape the world through research, innovation, quality teaching and engagement. The Council is the governing authority of the university and is responsible for ‘the direction and superintendence’ of the university as set out in the Royal Melbourne Institute of Technology Act 2010 (VIC). Council members participate in the approval of the university’s strategic direction, annual budget and business plan, monitoring of the university’s performance and appoint the Vice-Chancellor and senior executives.